I love your crocheted jar cover. I'd like to have a go at making one. I think I have about 7 different jars or vases or jugs of daffs around the house currently. I am not normally this extravagant but I saw some nacissi marked down to 30p a bunch recently so I bought all the bunches they had, about 6. It seemed rude not to! Great scarf, the colours are so vivid and cheerful. And I have eaten about 100 mini eggs this week. They are way too moreish. 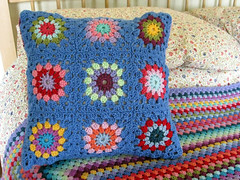 Your granny afghan is so beautiful and I imagine that snuggling up beneath it was really cozy and fun! Beautiful colors! Your pictures make me happy too, thank you! 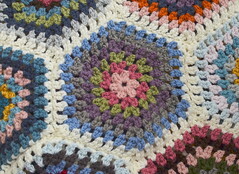 Anazing afghan! I would enjoy time to crochet again. 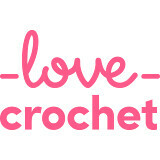 Do you plan on a new crocheting project? Oh I love your scarf, so pretty! Love the flowers also.